Winter may not be prime time to dabble in the garden. But it is a good time for tree pruning – especially those that flower in the summer. Not only are trees dormant in the winter, but it also is easiest to see a tree’s structure when no leaves are on the branches. 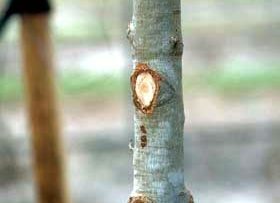 and pruning at the wrong time or the wrong way can injure a tree or make it susceptible to disease. 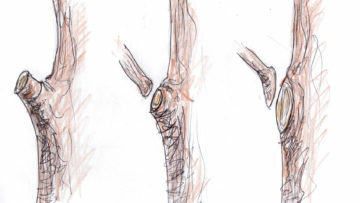 Pruning helps keep surrounding areas safe for people and objects by removing frail branches. Too much pruning can create more problems than it solves, so it’s advisable to prune annually and lightly instead of all at once. When in doubt, consult a local certified arborist for advice. Always have a purpose in mind before you cut. Removing dead or diseased wood, providing clearance, or improving shape or structure, are most common. Small cuts do less damage to the tree than large cuts. Unlike people, tree wounds don’t heal, they close. Smaller cuts close quicker. Make cuts just outside the branch collar for quick wound closure.